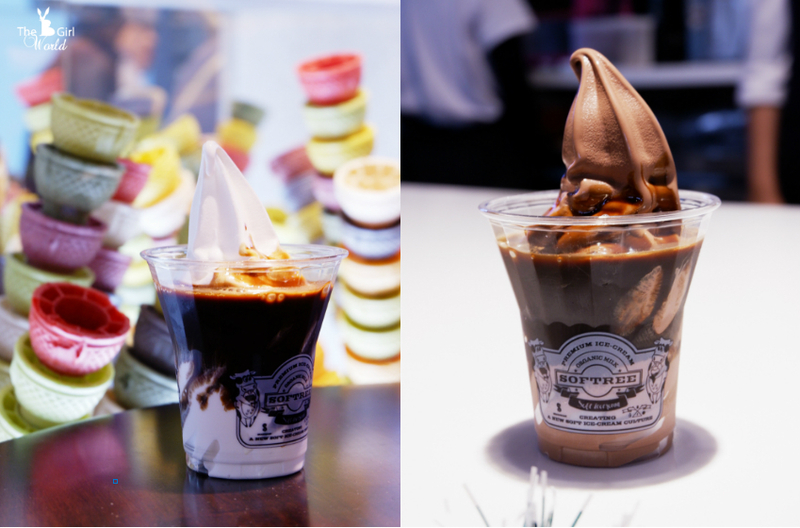 There was a huge surge of popularity over soft ice cream some while ago, although the vendors who offering soft ice cream with real honeycomb is continue to grow in popularity, but it seems like slowing down. Anyway, do you know what is the original brand that started the craze? 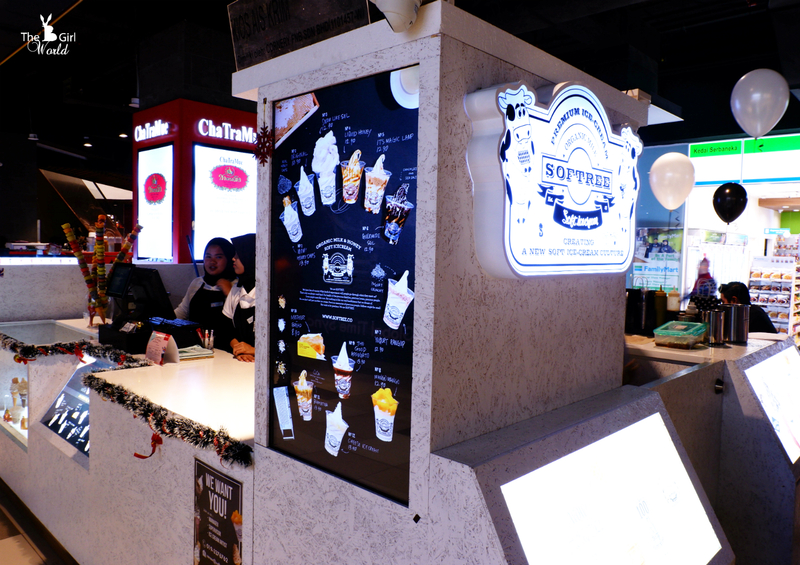 Softree is an ice cream brand launched in 2013 in Seoul, Korea. 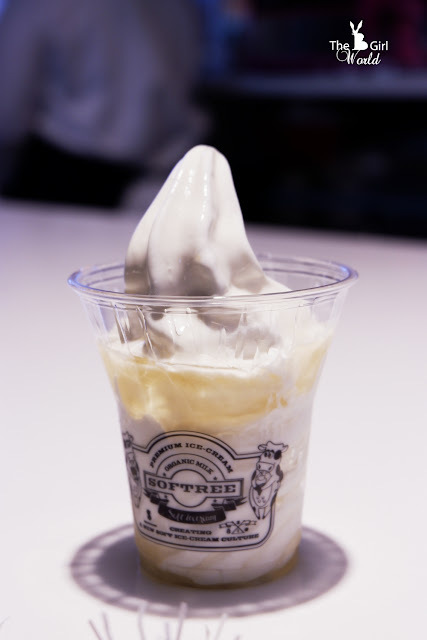 It is the first creator to create, produce and sell soft serve ice cream made of organic milk and natural honey. Many companies and individual vendors are selling soft serve milk ice cream and honey comb, some might taste like Softree, but Softree only selling healthy soft serve ice creams which made with fresh, pure, high quality ingredients from Korea. 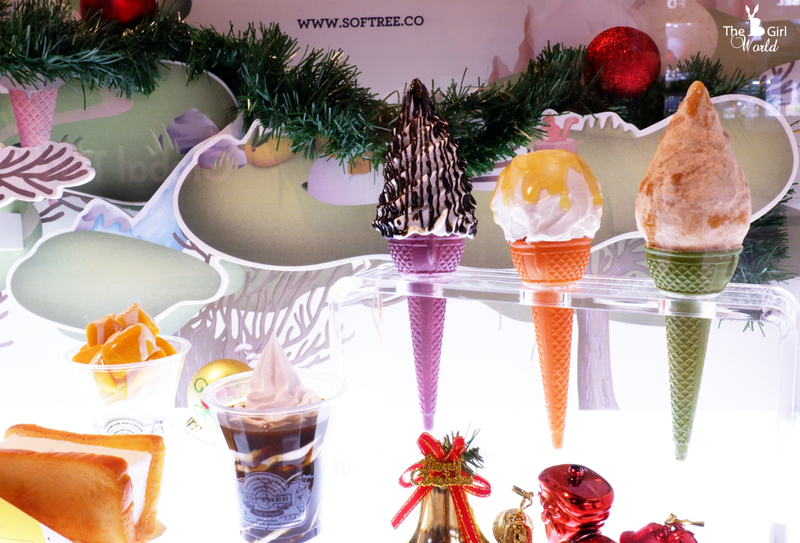 The first Softree in Malaysia is located in MyTown Shopping Centre. 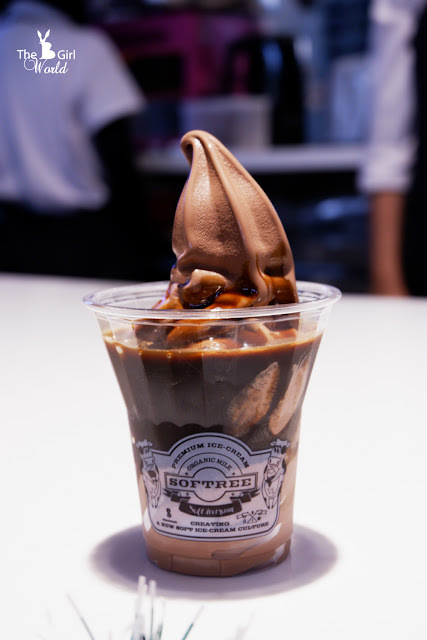 They have numerous flavors and toppings, such as cheese, crunchy yoghurt, mango, chocolate, etc. 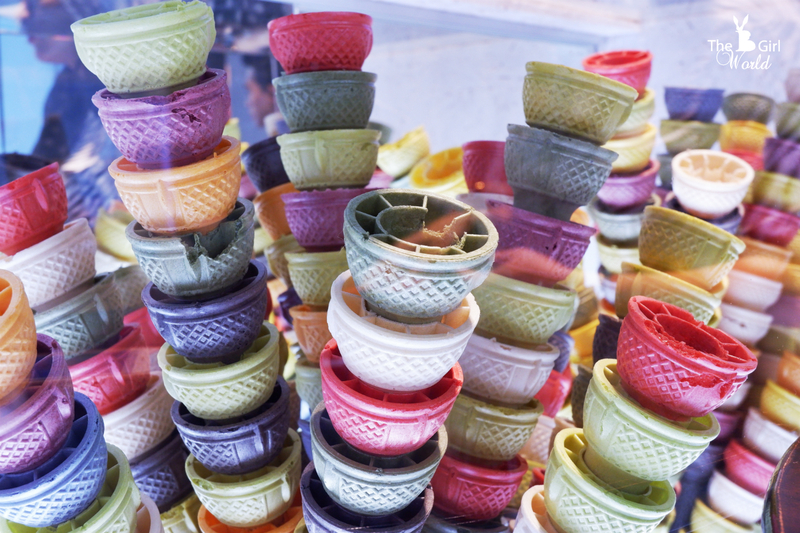 Customer can choose either cup or cone. 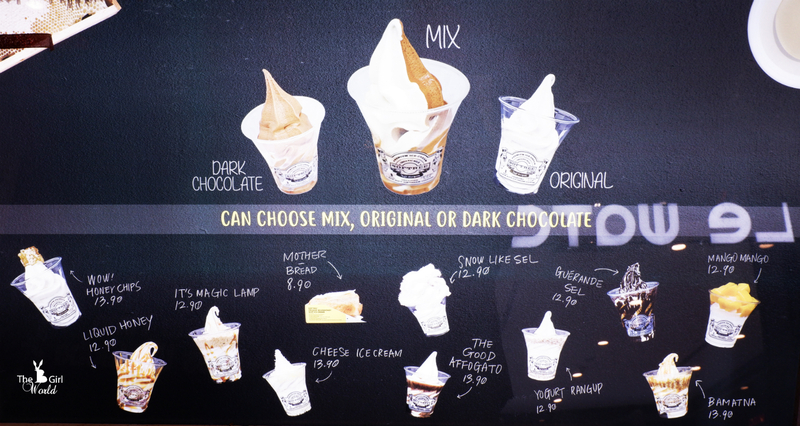 And there are 2 options for the 'base' ice cream which you can choose original or dark chocolate flavor. Wow! 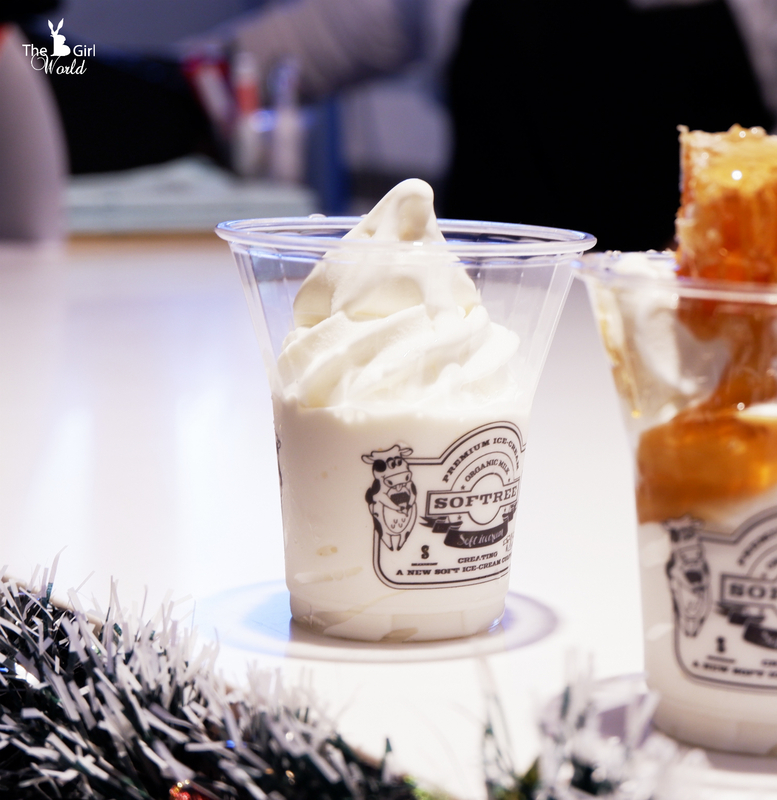 Honey Chips as the signature of Softree, it’s an organic milk soft ice cream topped with healthy honey chips (honeycomb). I like the extremely soft texture of ice cream, taste so milky and its honeycomb make the ice cream taste that much better. 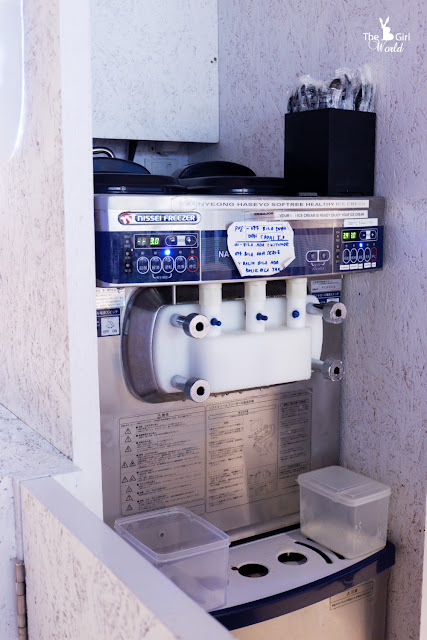 An organic milk ice cream with sweet liquid honey. An organic milk ice cream topped with Crunchy Greek yogurt. 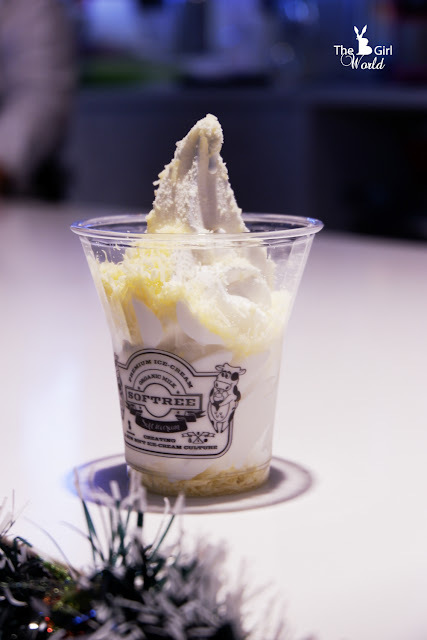 An organic milk ice cream with finely-grated Italian cheese. 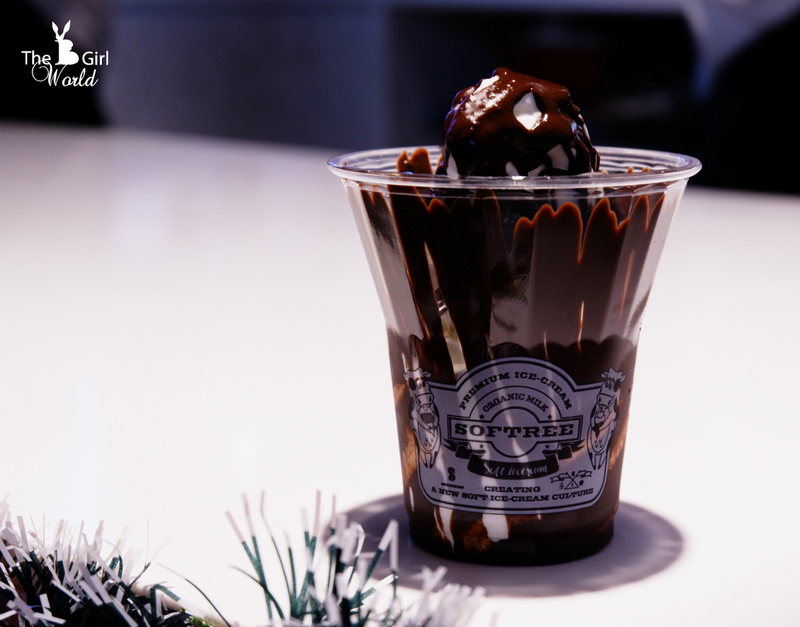 An organic milk ice cream with drizzled chocolate and French sea salt. 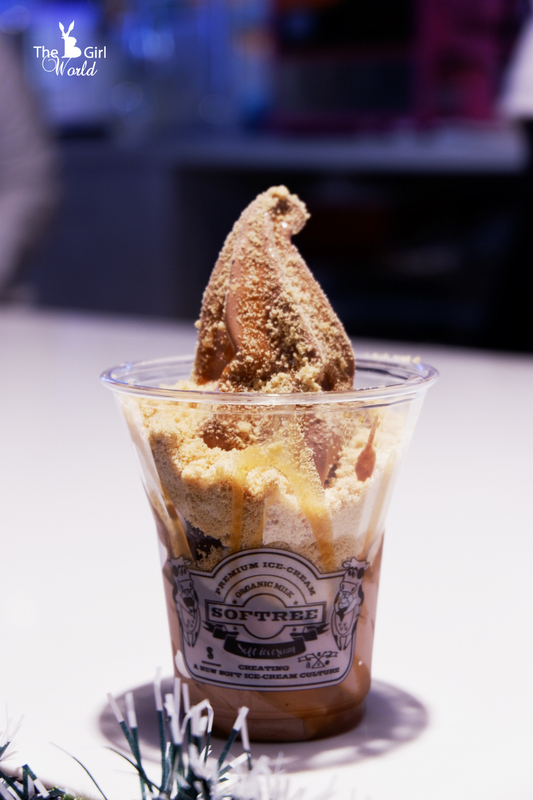 An organic milk ice cream drizzeld with caramel and coated with savory and sweet powder. 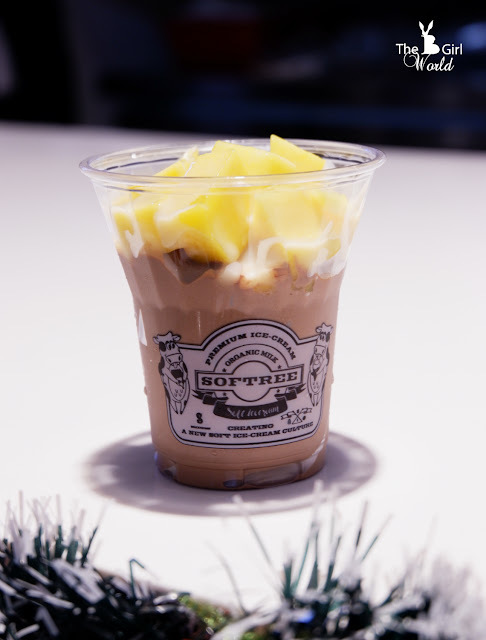 An organic milk ice cream with sweet mango fruit topping and condensed milk. 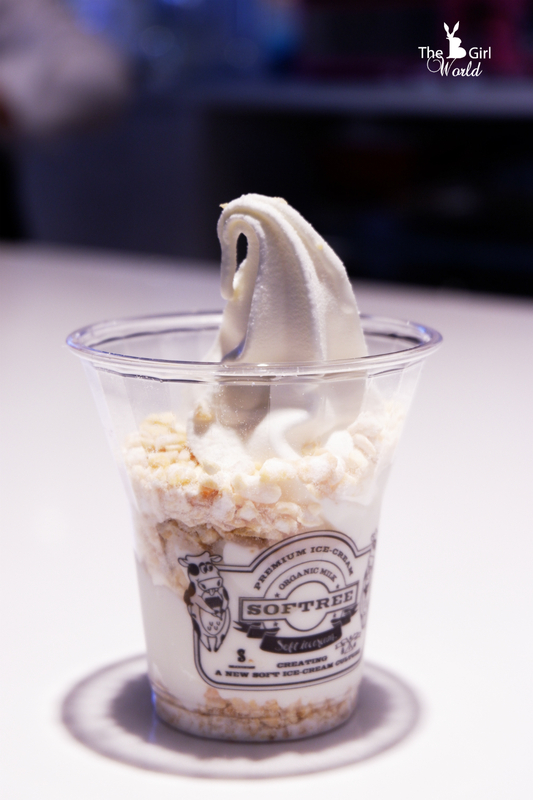 An organic milk ice cream drowned in decaffeinated barley-cano. 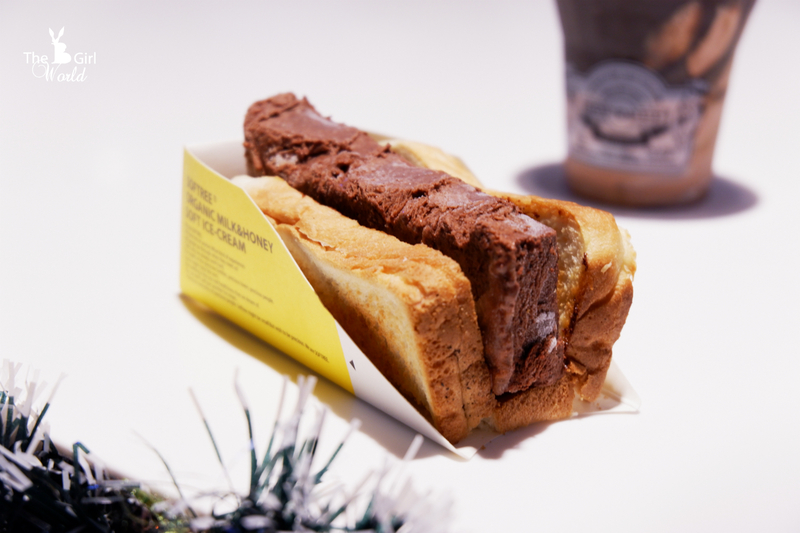 Don't miss out this ice cream sandwich! It is a baked butter bread with honey, and sand milk ice cream. 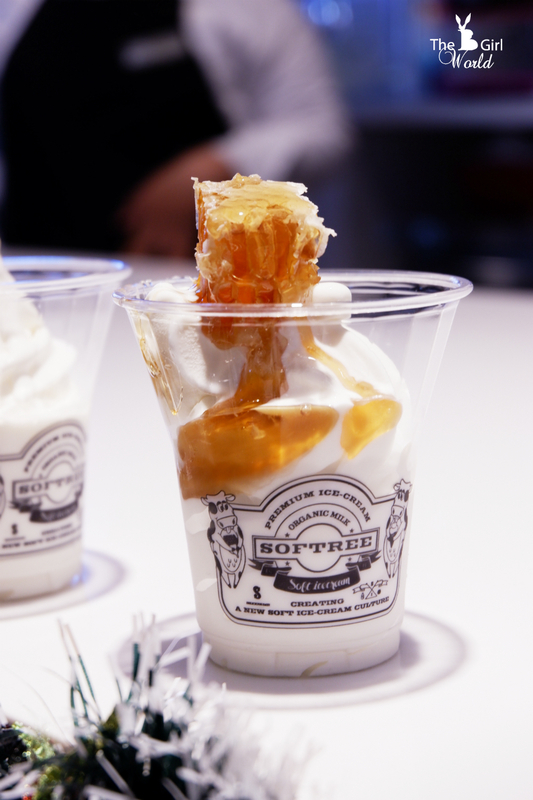 Undeniably the texture of Softree was lovely, so rich and milky! 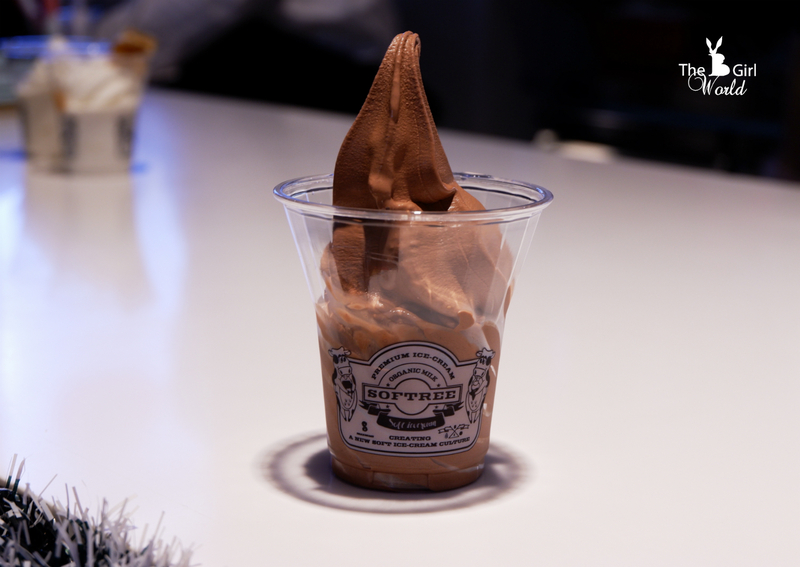 When eat it, the smooth ice cream feels like it could glide down the throat and the taste wise, as the ice cream wasn’t overly sweet. Such a pleasant treat for a hot day! No.6, Jalan Cochrane, Seksyen 90, 55100 Kuala Lumpur.